Do you have the dream of writing a children's book? Or maybe a novel? Or do you just have the dream of seeing your name in print? Well that has been my goal for a long time too. In fact when I was little I wanted to be an illustrator and especially loved illustrations similar to Felicia Bond's of "If you give a mouse a cookie" books. Unfortunately I decided against this path because I felt like my talent wasn't good enough. Thankfully, being married to a really supportive husband, as well as being surrounded by other encouraging family members, I have decided to pursue my long time goal and turn a story I ell to my children to help them face their fear of boo boos, into something that could be told to others' children. Plus there's something about being in your 30's. All the insecurities of childhood and teenagehood and even 20s-hood goes away, and now I feel more comfortable being me and trying new things. What I find encouraging is reading about how another mom, who also had the dream of writing a children's book, became a best-selling author with Goodnight, Goodnight Construction Site. 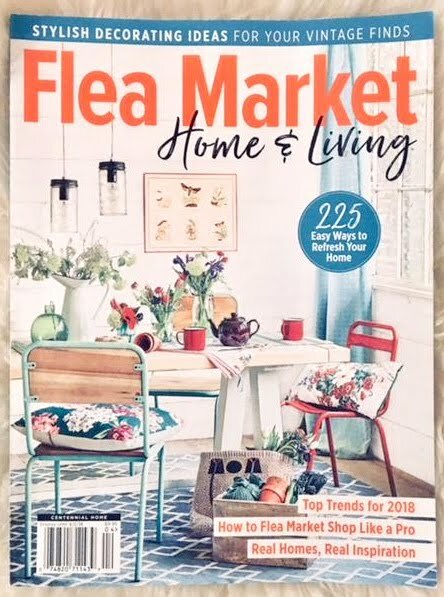 Read on to hear how she did just that, as well as how Chronicle Books (my top choice for a publishing company) recognized her talent and made it a well-loved book in our home and many others. Before I share the inspiration, let me share why I am sharing it :). I think most stories are made up out of necessity. 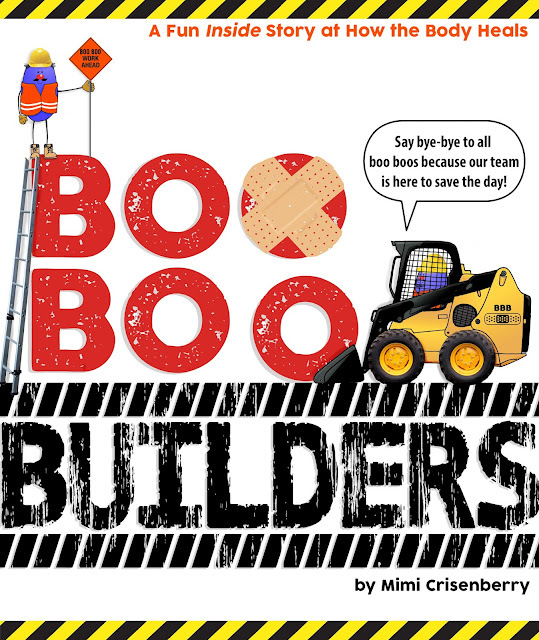 Boo Boo Builders is a story I put together because the concept works wonders with my kids. Having four boys who got upset at the site of any bit of blood, I told them a story about the "little workers" in their bodies that went to work to fix their boo boo as soon as they got hurt. As I painted the picture in their minds as to how the work looked, they immediately calmed down and started thinking about it. They were caught up in their imaginations and were in awe that all these little guys were working inside of them. What was the clincher was that the builders worked their best when the boo boo beholder stayed calm and brave. Bingo. No more crying and dramatics. As I looked into how our bodies actually heal when we get cuts, scrapes, etc., I was amazed. These little builders really do work wonders. Adding the construction theme to paint what medically is happening, takes the yuck out of the experience and makes it fun instead. So enough about how my book came to be, it was a lot of work getting the wording just right and a TON of fun drawing the pictures and putting together the illustrations to submit. Thank you to all of you moms, teachers, and English majors who gave your opinions and your edits! Thank you also to my super supportive husband who not only was patient with my one track mind, (always thinking about these little builders and their book,) but for also always building me up and saying that I can do whatever I put my mind to. You all mean the world to me. Now I am not kidding myself. Getting published when you are an unknown like me is like winning the lottery. Next to impossible. But when there's a chance that I can fulfill one of my dreams of writing a children's book, and seeing it on the library bookshelves, well I am gonna try. I can tell that they're real people as I read their blog. Not all pretentious, but fun, real, people. I especially love the story behind Goodnight, Goodnight Construction Site because it gives me hope, and hope is exciting. My boys and I have loved reading this cute book about all the construction trucks that finish their hard day of work on the site, and are winding down and going to bed. Not only are the illustrations adorable, and the color scheme relaxing and beautiful, but the story line teaches about all of the different trucks, and gives these large machines sweet personalities. Amazon.com Exclusive Essay: From the Slush Pile to #1: Realizing My Vision. Or Not. First-time author Sherri Duskey Rinker's Goodnight, Goodnight, Construction Site steadily climbed up the New York Times' Bestseller list throughout 2011, reaching #1 on January 29th, 2012. Here she shares the early inspiration that inspired a career in design, and how another artist brought her vision to life. I grew up loving picture books. Virginia Lee Burton's The Little House was my favorite, and I obsessed over the whimsically sweet illustrations of that little pink house happily sitting upon a hill covered in daisies. Inspired, I wanted to be an artist. I also wanted to be a poet, an art teacher, and a journalist. The ping-pong ball of art vs. words ended with a career as a graphic designer. It was a perfect fit: I took pictures and words and put them together in a pretty way. I met an artist, a photographer. He also had grown up with Virginia Burton: Mike Mulligan and his Steam Shovel. It was a sign. So I married him. We had two boys and two good excuses for buying dozens (and dozens) of picture books. Inspired by my youngest son's tireless (literally!) obsession with trucks, I wrote Goodnight, Goodnight Construction Site in stolen moments during the workday and late at night, after the boys were tucked in. And with the words emerged a vision (dare I say "obsession") for how the book and my trucks would look. I could see it so clearly: realistic illustrations of trucks superimposed with facial expressions to convey the mood and create the characters. Strong, yet simple graphic elements to create the setting. A bit of realism. A bit of collage. A bit of a grunge to compliment the dirty work of the trucks. I included the concept illustration with my manuscript and sent it, unsolicited, to Chronicle Books. When my editor contacted me, three months after I'd sent the manuscript, she was friendly, but also to-the-point: They loved the manuscript (! ), and hated (though she used a nicer word) the illustration concept. One of the reasons that Chronicle was the first (and ultimately only) publisher on my list was that I LOVE their picture books. I appreciate their beauty and high production values. So, I had a choice here: trust, or walk away. I chose trust--with a big dash of fear. When I told my editor that I'd never heard of Tom, she quickly emailed a few examples. The first was from Tom's NYT best-selling book, Duck! Rabbit! I was stunned to see bold, simple shapes and thickly-outlined illustrations. I stared blankly at the screen, feeling my heart sink. Could this guy even draw a truck? I spent the next couple of months intently focused on the process of editing and developing the final manuscript. But it was always there, in the back of my mind: What would the book look like? What had I given up? One evening I received an excited email from my editor with Tom's first pencil sketch attached. I wrote back: "I’m scared. I'll pour a glass of wine and then look at it." I held my breath and double-clicked. And there it was: classic, timeless and tender, with just a touch of whimsy. My crane truck, a distant, younger cousin to Mike Mulligan, perhaps? My heart melted. I was won over. So there it was: nothing like I imagined. But it was better. I've come to learn that some of the best things in life--like marriage and motherhood--are like that. And I could almost feel Mrs. Burton smiling down. When I came across this on Amazon it made this Bestseller author seem so real. Her thoughts I could totally relate to, and I loved the "behind the scenes" look into the background and coming to fruition of this sweet, simple story. Before I read this, I had a list of 5 publishing companies I wanted to send my story to. Chronicle Book was WAY at the top of that list. Even though I know it is a HUGE long shot that they'll give my book a chance amidst the 1,000 or more books they get each month, I thought, I want to shoot for the top like Sherri did. I want Chronicle Books to realize that I want them and will exclusively send this to them before I send it to anyone else. If it doesn't grab their attention then c'est la vie! But if it does....well then wow! I found Goodnight, Goodnight, Construction Site buried in our bin of unsolicited manuscripts and I was immediately taken with the concept, the sweetness of the text, and the pitch-perfect title (which never changed). I also responded to the author’s story about how the book came to be. In her cover letter, she described a nighttime routine in which she helped her sons settle down by saying good night to all the things they loved—which, for one of her boys, always included trucks. I thought this was a brilliant approach to bedtime and could see how it would benefit moms and dads of truck-obsessed kids everywhere. ● Rinker sold Goodnight, Goodnight, Construction Site to Chronicle for a $4,000 advance. The title has been on the New York Times list for three years, with more than 850,000 copies in print and rights sold into 23 territories. Hearing what Ms. Colgan experienced reading Ms. Duskey Rinker's book, (probably after reading hundreds before hers that week alone,) made this editor seem so real too. We forget that all of these individuals are real people. Or at least I forget that. When I read about the publishing industry and how difficult it is to get published I start looking at these editors as faceless machines so ready to throw manuscripts they read into the shred pile. However, Ms. Colgan and others are just doing their job, a job that has a lot of reading to do and a lot to get done. They have feelings, they have families, they have hopes and dreams too. I liked that reality check. I hope sharing these two perspectives is helpful for any of you, who like me, have a dream of seeing your story in print. I am a firm believer in miracles. When you put your mind to something and try, try, try, amazing things happen. I have seen it happen every day from small to big things, and I hope that Boo Boo Builders can be welcomed onto the editors' desks just like Goodnight, Goodnight Construction Site did 5 years ago. If it doesn't, that is ok too. I have learned that miracles work that way sometimes. I believe that God knows what is best for us and has the best plan in store. If Chronicle Books doesn't like it, well then maybe it is meant elsewhere. If it is meant nowhere that is ok too. I learned a lot along this process and had a good time writing and illustrating the book. There is a lot of purpose behind the learning alone, and I know that good things will come from that knowledge too. So in the end I have faith that what is right will come to be. I have done what I can do at this stage of the process and so now I pass it on to the editors at Chronicle. We will see what happens next! Here's to all of us finding happiness in creating and working towards making our dreams come true! I've never heard of publishing through Heritage Makers. That's interesting Jennifer, I might have to talk with you about it if I don't hear back from publishers. Thanks!